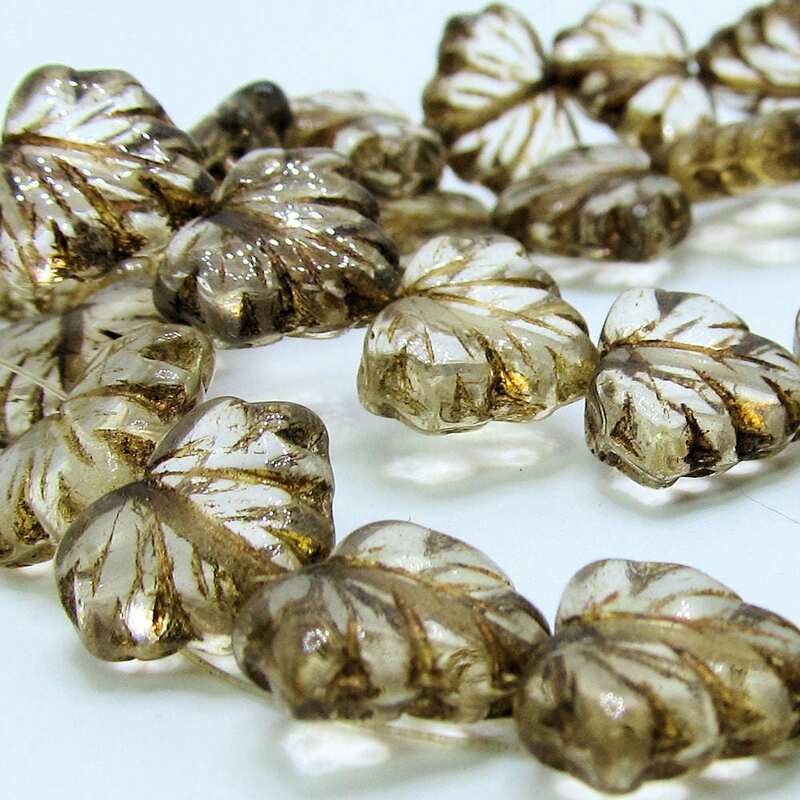 This listing is for 10 pieces of gorgeous, premium 14 x 9mm Czech polished clear glass maple leaf beads that are stamped on both sides with a chocolatey variegation. came quickly and thank you for matching the sets up! Great beads they work with everything. Great seller also. I accept Paypal and credit cards directly through Etsy checkout. We will gladly refund the cost of the item for any reason within 7 days of receipt. The item must be returned in unused condition and it is the responsibility of the buyer to pay return shipping. We package our items very carefully and would hope that the buyer would return them as well packaged. Welcome to BeadFrenZ! When you choose your babbles, we know you choose with great care and we want to become a part of your process. Our stock changes regularly so visit often. Be assured you will find us very friendly. 1. Many of our items are one of a kind. We reserve the right to fill orders as they are paid. Unless otherwise arranged (through prior agreement) any item not paid for defaults to the first payer. Thank you for your understanding. 2. Generally speaking, we do not leave feedback, unless requested. Many of our customers prefer their purchases be kept confidential and so we find it best to be discreet. 3. Our home is our business and so said, we do our best to keep our stock free from these thing but we love our animals & someone does love their pipe. SMILES! 4. Finally, We reserve the right to refuse service to anyone. (It is unfortunate that we have to place this in our policies, but there are legitimate circumstances unfortunately where, however rare, we may need to enforce this rule). Thank you for your understanding.